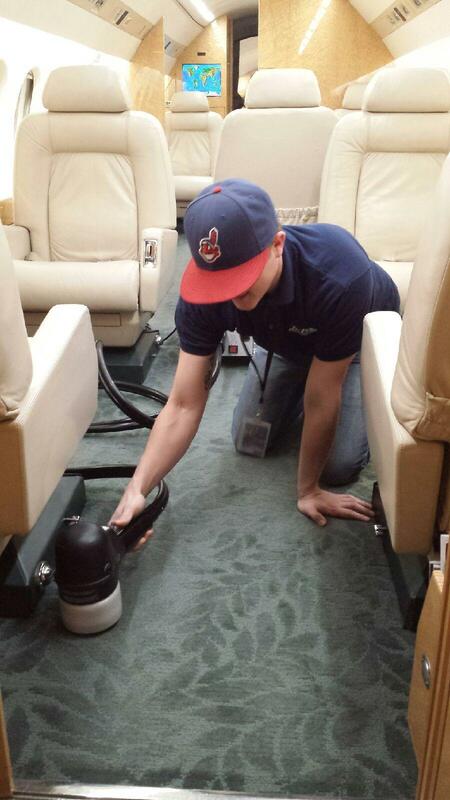 Our aircraft detailing and cleaning services will make your aircraft look and feel new. Schedule your interior and exterior detailing service today. When performing interior and exterior aircraft detailing services, our team works carefully and tirelessly to provide you with like-new results as quickly as possible. When a person boards a private aircraft, there is a certain expectation for the interior’s appearance and upkeep. Tritex has developed processes for maintaining aircraft interior materials that add years to their useful life, as well as their appearance. Using high quality products, applicators & techniques such as hot carpet extraction and foam cleaning, Tritex can meet your aircraft detailing expectations by extending the life of your interior without impacting “down time”. Aircraft exteriors are exposed to punishing weather & flying conditions which requires proper attention between flights. Using specialized manufacturer approved products, our highly trained & experienced technicians can insure the efficiency & longevity of your aircraft’s exterior finish. Tritex’s exterior detailing services help protect your investment while making a strong impression on those who see your aircraft. We offer detail options of full wash, wax, brightwork, deice boot prep & sealant along with select “quick turn” services. Aircraft detailing can be scheduled for work at our Columbus, Ohio (CMH) facility or on location using our mobile crew. From jets to pistons, Tritex has the tools, knowledge, and skill to make it shine.